TagTracer RFID Stick Multi is a RFID-transponder reader for 125kHz transponder tags (EM4102, EM4150, Hitag-1, Hitag-2, Hitag-S). Once there is a RFID transponder within the antenna field of the reader, the transponders' serial ID number is written into the keyboard buffer of the PC. The USB stick emulates a keyboard entry. The serial number appears wherever the cursor is: e.g. in Word®, Excel®, or any other software. Just as if the number was typed in. 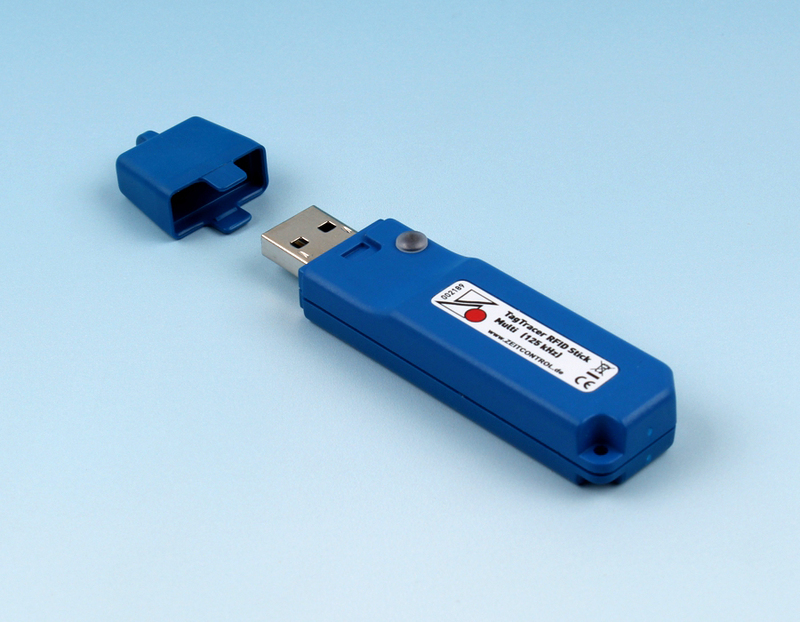 The TagTracer RFID Stick Multi is supported by the Windows® HID-Interface (Human Interface Device) on Windows® 2000 and higher operating systems. There are no device driver nor admin rights required for installation.